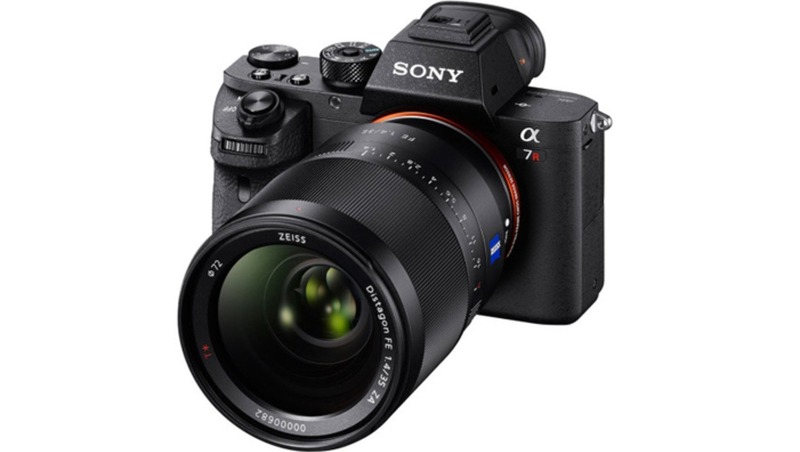 The Sony a7 series of cameras has been wildly popular in the last few years and has certainly stirred the mirrorless versus DSLR debate, along with other popular cameras like the Fujifilm X-T1. I'm not here to reignite that debate, at least not intentionally. Most cameras these days, mirrorless or DSLR, are incredibly advanced and capable machines that will give excellent images in almost any situation when used correctly. Of course, some excel where others fall short, but nonetheless, camera performance is at a remarkably high level. I've always been intrigued by mirrorless offerings; features like WYSIWYG (what you see is what you get) viewfinders and the beautiful colors of Sony and Fuji sensors were quite tempting, but I never sold off my Canon kit and took the plunge for two reasons: lens availability and AF speed. Sony's lens lineup hasn't been particularly well filled out for this system and while most standard lenses have begun to appear, specialty portrait lenses, super telephoto, and higher-end low light zooms have been lacking. This really limits the native abilities of the system. On the other hand, Fuji has been releasing lenses at a blistering rate, but unfortunately, the APS-C sensor takes it out of the running for me. That's not to say it's not a great sensor, but as someone whose work frequently requires high four-digit and occasional five-digit ISOs, I just couldn't sacrifice a full-frame sensor (though I will say the high ISO performance of the X-T1 is highly impressive for the sensor size). The solution would be to use adapters to mount my Canon lenses to the Sony, right? Who can argue with Canon's vast library of glass paired to a sensor with some of the best color reproduction and dynamic range out there? Well, I can, and for one reason: AF speed. Early on, mirrorless cameras were notoriously slow at autofocusing, mostly due to the fact that they by and large used contrast detection AF, which is slower than phase detection AF for several reasons. In recent years, phase detection has been integrated onto mirrorless sensors and the autofocus gap has started to close. Nonetheless, when using adaptors, phase detection autofocus was unavailable. Until now. The Sony a7RII can use phase detection autofocus when using an adaptor for Canon EF lenses. Sony has trumpeted the improved autofocus speed as being on par with native body performance (including continuous autofocus and tracking) and though unbiased hands-on examples are scarce at the moment, those that are out there have been quite promising. This is the feature that can potentially represent a fundamental paradigm shift in the world of imaging. Until now, cameras and lenses were essentially all or nothing affairs; if you bought into one brand's lenses, you also bought into their bodies and vice versa. Some systems allowed adaptors, but there were always compromises, namely reduced AF performance. This was of course acceptable for certain applications, namely where accuracy, but not speed was key. However, in high performance situations, this just wasn't good enough. I like autofocus. Many mirrorless cameras, including the a7 line, have excellent manual focus features, but at the end of the day, in high performance or high stress situations, having a reliable AF system removes one large factor to worry about. Preliminarily speaking, the AF system on the a7RII looks excellent. With 399 on-sensor phase detect autofocus points (and 25 contrast detect) that cover a larger portion of the frame with a greater density than any current full-frame system, the a7RII looks to have both precise and wide-ranging tracking abilities, assuming performance is up to par. If the AF is really everything the early reports say it is, this is groundbreaking. 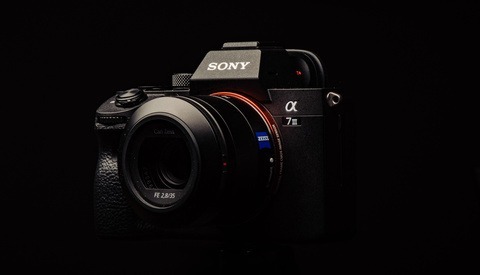 Sony will have obviated the need to use native lenses for decent autofocus performance and opened up the a7RII to an entire library of lenses, without the compromise in AF performance. Granted, AF is not guaranteed to work on Canon lenses made before 1996, but essentially every current version of a standard or specialty Canon EF lens was made after 1995. Furthermore, on-sensor phase detection autofocus points have traditionally been small, meaning that in low light, the system reverts to contrast detection and the dreaded slowness returns. 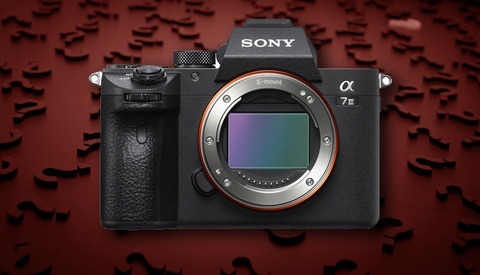 However, Sony has rated the phase detection system onboard the a7RII to -2 EV, equivalent to the 5D Mark III, which has a stellar AF system itself. This potentially means that the Sony system truly does cover all situations. A further benefit of on-sensor phase detection autofocus is that because the measurements are made on the imaging sensor and not by a separate AF module, differences in calibration between the AF sensor and imaging sensor will be nonexistent, meaning focus accuracy might actually be higher than most DSLRs. The only drawback seen so far is the 5 FPS maximum shooting speed; it's decent, but for a camera with such a potentially amazing autofocus and tracking system, 8–10 FPS could make it a real monster. However, I've yet to see any full-frame above 25 MP (the a7RII is 42.4 MP) come close to those numbers. On the topic of the number of megapixels, another feature has me excited. When I heard the a7RII was 42.4 MP, I was disappointed as I expected noise performance not to be up to today's leading high noise performers, which typically have lower MP counts. 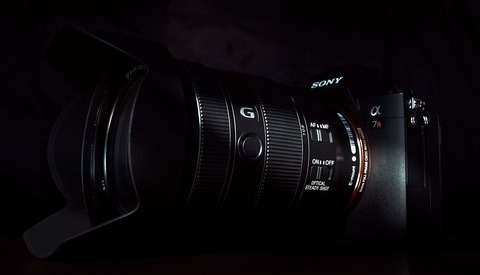 The curve ball here, though, is that the sensor is the world's first full-frame back-illuminated sensor. Traditional sensors actually don't gather all of the light hitting them; the wiring and electronics reflect a lot of the incoming light back. Back-illuminated sensors move the wiring behind the photodiodes, reducing reflections and increasing the ability of the sensor to capture incoming light by up to 30 percent in some cases. This means higher sensitivity and better low light performance. Sony has capped the ISO range of the a7RII at 25,600 (expandable to 102,400), and while those numbers are impressive given the MP count, we'll have to wait to see actual image samples, but nonetheless, the inclusion of this technology is promising. Add in features like 5-axis in-body image stabilization, reduced shutter vibration, and a silent mode with a fully electronic shutter, it seems as if the a7RII might be a monster of a camera. For me, though, the ability to use phase detection autofocus with nonnative lenses might be the feature that shifts the paradigm and opens the door to a new way of building a camera kit without compromise. Of course, we'll have to wait until the a7RII is actually released to see if the performance is up to par, but if early tests are shown to be true, it could be a groundbreaking camera. I was extremely impressed with the A7s (the only pro sony I've ever used) but the auto focus in low light made it a deal breaker for me. I own an A7S (i switched from Canon), i agree. It's very impressive. I have to say though that in backlit situations it is really a pain. I mean, really, MY IPHONE CAN FOCUS PROPERLY WHEN THE SUN IS BEHIND THE SUBJECT, the A7S totally misses the focus. Solved this issue (A7RII, as Alex said) the sony system will have no rivals. I depend on my lights when I work. The Sony just doesn't have the mature flash system that Nikon does. I use Profoto B1's and B2's and high speed sync, and TTL on occasion and there is no way Sony has that support. Right now, I'd take the D810's excellent DR, 14 bit lossless compression and yes, the optical viewfinder for the work I do. My Fuji's all have very good EVF's so they aren't a stranger but for my work, right now no EVF I have used will do what the optical viewfinder does for me. I use my X-T1 for work, I love the EVF in some cases but its just not 100% ready yet. To me. I think others will agree. Oh and then there is glass and lack of it. For instance, I really like using my 200 f/2 VR and Sony doesn't have one yet. I so agree! That HSS issue is huge, for anyone that has used a B1 or something similar. Once you have a strobe with HSS, you don't go back. Ever. It's the flash situation that keeps me from seriously entertaining these too. I'm wondering whether the electronic shutter concept offers any hope for flash sync at any shutter speed into the future? I'm fairly sure that most cameras that have electronic shutter capability currently do a sequential bit read of the sensor which means this doesn't work but there are now cameras that can do a simultaneous dump (think it helps for 4k video?)... I haven't really kept abreast of this area but if they were somehow offering a higher flash sync than DSLRs, it would jump straight to the top of my to-buy list. It seems this has changed in the new generations, but my Sony NEX6, NEX5R and (formerly) my A77 all could sync at any speeds, ala HyperSync (i.e. needed a long flash duration). Depending on the camera, and triggering method, I got some clean images up to 1/4000, others had only a tiny line that was consistent at any shutter speed. In order to do this, electronic first curtain must be enabled. Unfortunately, I have tried this with the A6000, and have had others try with one of the A7 series (not sure which), neither behaved the same way. Yeah. I use Hypersync on my Nikons to good effect. But it'd be nice to not have to worry about all that stuff. I cant see the point in the Sony system for autofocus photography needs. For Video, they appear to be amazing solutions. But Autofocus does not seem to be a mirrorless strength. That's exactly what is currently holding me back as well, Lee. I'm quite curious to see how the A7RII performs in that aspect. I do not agree with Lee. This is not a Pro camera. Not even Sony considers it a Pro camera, proof of it is that its support site is mixed with TV, PlayStation etc. It is a step in that direction, but an expensive one, because some of its short comings that could be solved in firmware will only be solved with a new model next year. I don't understand how so many people are making review after review, saying it is amazing Pro camera. It is innovative but not Pro. - Auto focus on Sony flashes does not work. # Just the 3 points above make it useless for wedding and event photography. The more info I see about the A7RII the more I know I am jumping ship from Canon to Sony. While I agree with you about the attractiveness of the feature set what gives me pause is the lack of professional support services. I currently use Canon and friends use Nikon (forgive them). Both have professional support services in the form of CPS for Canon and NPS for Nikon. Sony has, to its shame, a poorly regarded consumer support structure. The last thing I want is to have a need for expedited repair being held up by a satanic phone tree that connects me to a person who has no idea or interest in the issues of a working pro. Another nuance is whether the Sony A7x series are designed for repair. Both Canon and Nikon have been designed to be repaired and their service centers stock an inventory of parts. I have heard several anecdotal reports about service centers to which Sony subcontracts its repairs not having any parts for the cameras. Until they have a robust pro support division any Sony camera I may buy would have only a non-critical supporting role in my bag. I've been giddy about the A7 line since it was first announced, but didn't think it was quite on par with a 5D MKIII (especially in regards to AF.) Now I feel like the next body I buy will have to be a Sony. Tack sharp L & ART series primes, with 5 axis IS = HEAVEN! How do they have a lack of TTL or HSS? Um. I shoot with an A7 & A7S and they definitely support HSS (&TTL although I don't have any TTL flashes ATM). Could support be more universal among 3rd parties? Sure. But that isn't explicitly Sony's fault. Having used a D800 and now D810 for many months (plus a D4s), I just can't get excited by the Sony A7 series. Sure its a good camera - they all are but everything people speak of that the Sony has, my D810 has had for a long time. And its no secret Nikon extracts more from the Sony sensors than Sony does. My mirrorless system is my X-Pro1 and X-T1 (and x100T) and to date I have delivered prints to customers 24x36 and over. My printer has said he has never seen such detail. I've got what I need, its been around awhile. Just tough for me to believe the headline of this article. Has Canon been that bad for so long? Its the only reason I can think of that someone would think the A7 is the second coming. "Sure its a good camera - they all are but everything people speak of that the Sony has, my D810 has had for a long time." Maybe you don't need any of these things, then the D810 is better for you! Yes Canon is so bad :) but Good photographers still manage to create award winning images..
My X-T1 is small and light. It has focus peaking. I don't need focus peaking on my D810.Video is of no interest or I'd buy a GH4 and be done. I have nothing against the A7 series, I just read that headline/statement and call BS. Its a camera. Like all the other cameras. If I were to get excited about a camera, it would be a Pentax 645z (which I rented and loved) or a Hassie 50c. But the A7? Agree, and the sales numbers don't say "sony is on top". Also, where are the sony lens to make this a "system"? Weak article. As Marco pointed out it clearly depends on your needs. Just because to YOU and your needs it isn't a big improvement doesn't mean the article is BS because for many others it is a groundbreaking camera. Yes, you can get many of the A7RII features on other camera bodies but there is not other body that does them all at this point. I think the camera is going to cause a lot of hype and disappointment no matter what. There has just been too much press about the camera. As great as the feature set is, people are going to expect too much from it. Either that or they'll be too caught in the hype to admit any shortcomings of the camera. I've learned a long time ago to stop getting hyped about new cameras until they've been released and the tires have been kicked by non-biased parties. So stoked about this camera. Hopefully Nikon and Canon will start to add tech to their lineup and not just megapixels. I agree with you. Our best hope is that cameras like this will make the other manufacturers sit up and notice what we want and like. I'm starting to get annoyed by the fact that my mirrorless Canon has, in many ways, more useful features than my Canon 6D does. For one small but game changing example, my EOS-M has a touch screen that allows you to touch the spot that you want correct focus and exposure. This allows you to compose then expose and focus, rather than pointing the camera at your subject, pressing and holding various buttons, then composing. It does all that, then takes the picture with just that one touch. It's way, way easier and more accurate. Same for subject tracking in videos. Why does my expensive camera have nothing nearly so handy but my cheap one does? I am sick to death of reading about this effing camera. Sony can make the best camera in the whole world but without any glass its rubbish, adapters are for clowns not professionals. How much are Sony paying for these reviews? Yup. Shot a commercial with the Sony a7S + Shogun and a set of Schneider Xenon FF cinema lens with a Wooden Camera PL to E-mount adapter. Solid all-day and got paid.